Over 20,000 developers have asked us to send them job opportunities. Maintaining the #1 Angular Job Board does have its perks! Who curates every piece of Angular content? We develop resources to extend our reach. This enables us to deliver jobs in the previously unreachable territory. Imagine: a developer reading the latest open source meeting notes and seeing your job, in their hometown! We work with advertising platforms to extend our reach. Have a job in an unpopular location? That’s ok! Our methods make sure local developers see your job. That’s why amazing companies like Accenture, Priceline.com, SpaceX, TEKsystems, Viacom, and Walmart choose us. 1.) Over 20,000 Angular Developers receive Angular Jobs on Twitter and by email. 2.) We deliver hyper-targeted ads. Reach more local and passive candidates on the largest ad networks. You do not have an existing job description. You are just seeking a few hours of consultation. If you fall in one of these 3 categories you SHOULDN’T BUY a Featured Job Post. But, don’t worry! 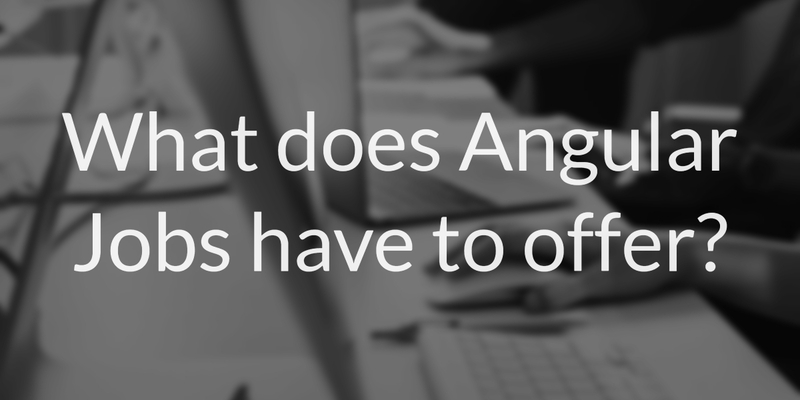 Just send an email to brian@angularjobs.com. Tell me why a featured job post is not for you. And I will personally send you recommendations for other resources that will help you be more successful. In all other cases, a Featured Job Post will immediately boost your hiring pipeline. LinkedIn takes a lot of time, even for candidates. Do you think the best candidates have time to code, refactor, test, learn, and use LinkedIn? why referrals are the #1 source of placements! Sharing your job directly on developer resources enables us to reach those busy developers. We deliver hot & fresh jobs to developers where they spend the most time, learning about their tech. We also leverage social media and ad campaigns to further extend our reach. Let Angular Jobs deliver your job to our network of over 200,000+ Developers. The audience we deliver to is made up of experienced, qualified, developers. A sample of over a thousand developers placed 13.8% at major tech companies like Apple, Google, and Microsoft. We will also put your job through a critical Review Process. It’s important to look for errors, ommissions, and ways to improve. This way you get the best results from your search. We also use what developers are reading to qualify candidates. We can find and target developers based on what they are learning. This allows us to differentiate between beginner and expert developers. All of this combined with our access to powerful advertising networks means faster hiring. We make it easy to source top talent from more than a dozen locations. No logistics. Just qualified candidates.